You're not logged in! Sort it out. Sign In | Register | Lost Password? We’ve made some new additions to the Music section of our website’s Merchandise section! 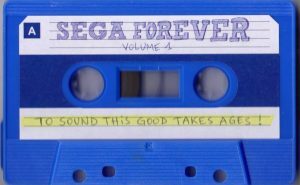 There are now 5 new releases to explore and learn about, and for this update I’ve selected some of the more obscure and unique SEGA releases out there. Did you know we had a YouTube channel? Well we do! You can subscribe if you like. Let us know what you think! Like our new intro? We want to know! - The Sonic Stadium SEGADriven and its original content are copyrighted to their respective authors. Media related directly to SEGA is copyrighted to its respective authors. Any comments on SEGA-related materials do not represent SEGA themselves. All rights reserved 2008-2019.